A Large modern painting of a woman by Abstract Artist Sarah Jane for your wall called Bodyline I. 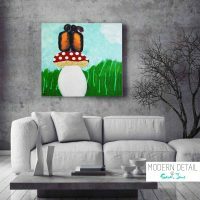 This is a very trendy painting that mixes charcoal with acrylic paints to provide a beautiful calm image. The outline of a woman can is prominent with soft pastel colours marking features. Beautiful shades of blue, pink, grey and brown and beige mix together to form a lovely large modern painting. Currently on display at Modern Detail By Sarah Jane, Malvern South Australia. If you would like a viewing please contact us for an appointment.